The Mikoyan-Gurevich MiG-15 (Russian: Микоян и Гуревич МиГ-15; NATO reporting name: "Fagot") is a jet fighter aircraft developed by Mikoyan-Gurevich OKB for the Soviet Union. 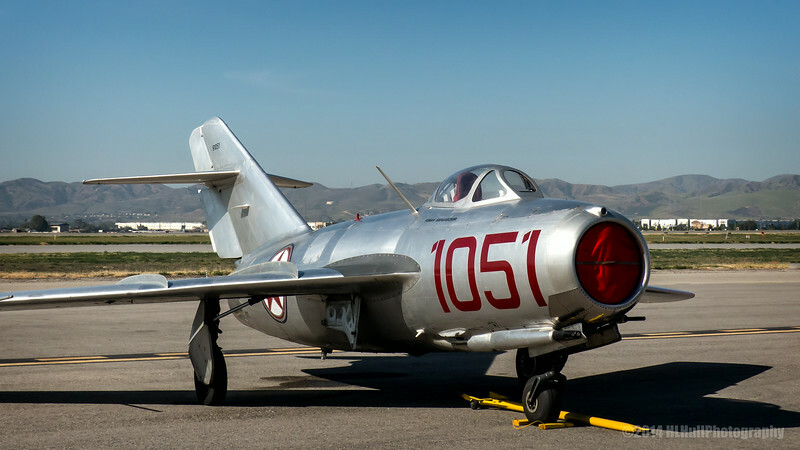 The MiG-15 was one of the first successful swept-wing jet fighters, and achieved fame in the skies over Korea, where early in the war, it outclassed all straight-winged enemy fighters in most applications. Thanks for the info. Really nice shot! A great find and excellent capture of this old warrior. Cool plane - well captured. What a great shot and super information. With the Cold War in our rear view mirrors, so to speak, I think most people with even a modest interest in the history of aviation would be delighted to see a MIG-15. It makes me wonder whether there are similar aviation museums and air shows in Russia these days, and if so whether U.S aircraft are similarly sought out.